Are you looking for a trusted electrician to provide you with excellent electrical construction services? 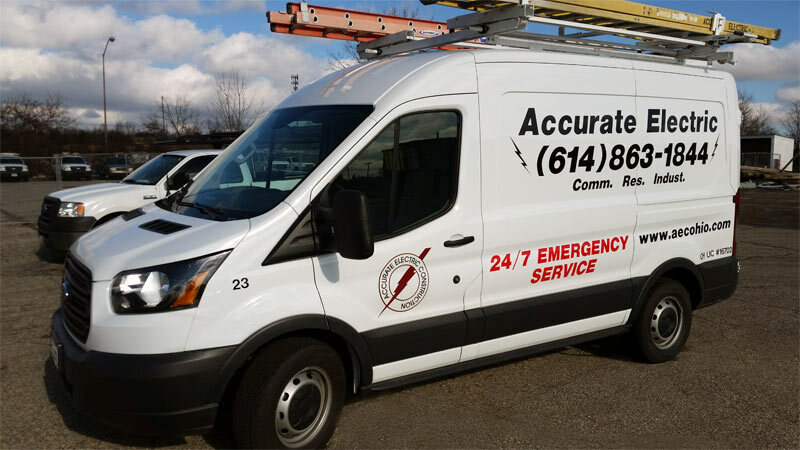 Look no further than Accurate Electric Construction Inc. of Columbus, Ohio. Specializing in commercial construction and industrial construction, there's nothing that our professionals cannot do. Request your hassle-free and accurate quote today. Provide Support for T.V.S.S. & U.P.S. The difference is in the details. That's why we train our professionals on the most up-to-date techniques and methods for installing these innovative systems. In addition, we use AutoCAD technology, which has taken our design-build capabilities to the next level. While we specialize in industrial and commercial construction services, we are also proud to cater to the residential sector. Whether you need a panel replaced or an apartment complex rewired, our professionals are the ones to call. We are known for our reliability, punctuality, cleanliness, efficiency, and budget-friendly prices. Don't just take our word for it. Call us today to request our affordable residential electrical construction services. You will be glad you did. Failing electrical systems seem to be unavoidable. What if you could prevent a system from failing or breaking down prematurely? There's no better way to do so than to rely on our experts for routine maintenance when you need it most. We'll use the most advanced thermal imaging equipment to assess the condition of your system and determine if it's overheating. From there, we'll recommend the services needed to make your system run optimally and efficiently. That isn't all. Homeowners and business owners alike can also rely on our emergency service department to address their immediate concerns day or night. In fact, we have a full on-call crew that's readily available to handle your projects 24 hours a day, 7 days a week. Find out why homeowners and business owners have made us their only source for residential, industrial, and commercial construction for many years. Contact us in Columbus, Ohio, today to request service.